A postcard from Altea, Spain, sent by postcrosser Leila Soufi for Vacation RR in postcrossing forum. 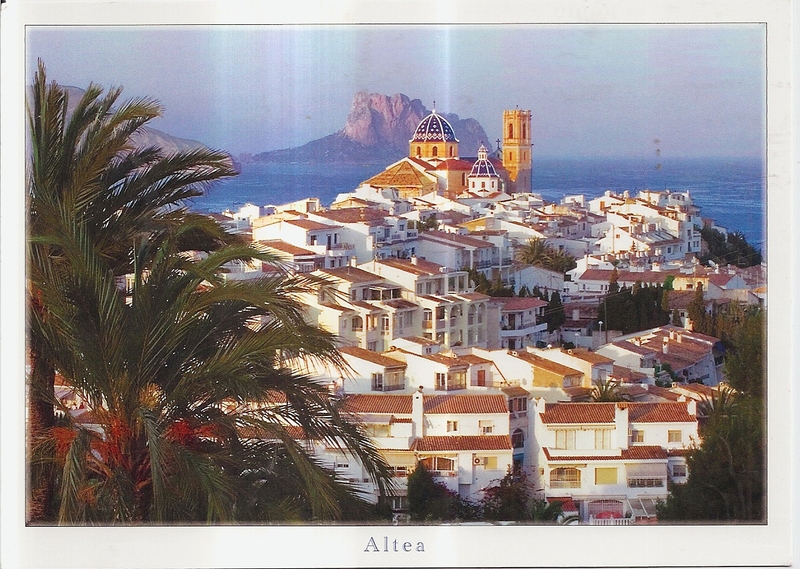 The postcard shows a view of the Altea, a town on the Mediterranean coast of Spain. The view is beautiful! At the back, Leila affixed a postage label. 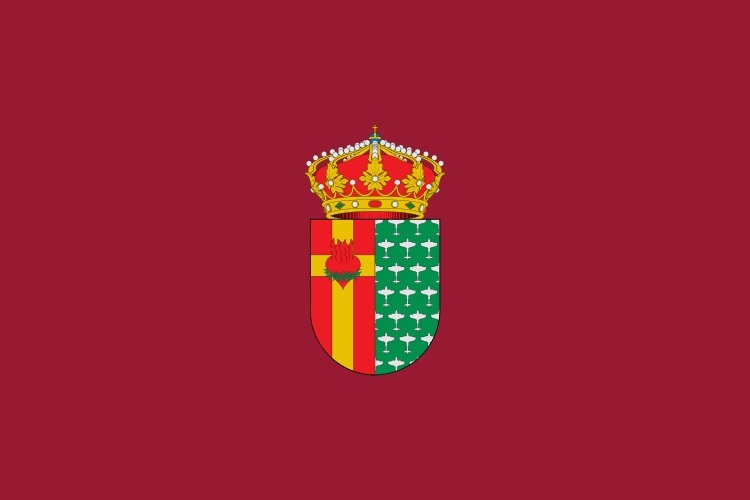 The postmark date is not clear but the location is Altea. Thanks a lot Leila! A surprise cover from Spain! It’s an airmail cover with two stamps. 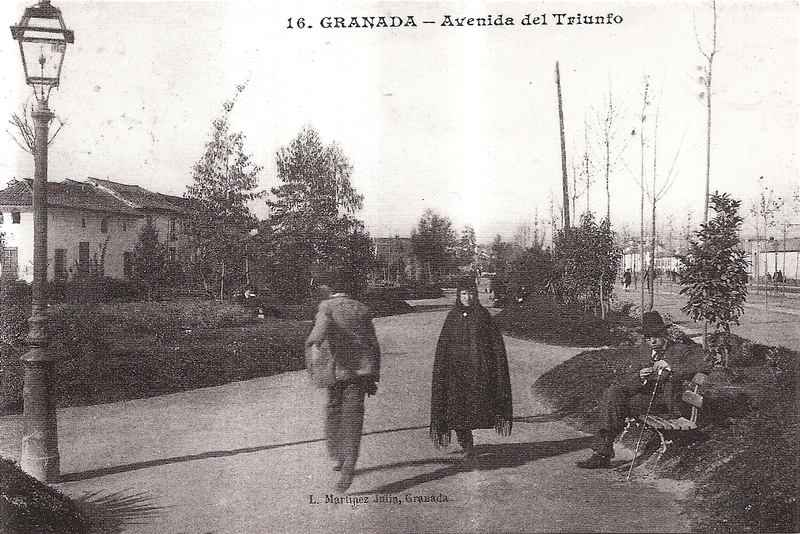 The postmark date is not clear, but the location is CTA Granada. Inside there are three postcards of old Granada, Spain. Thank you very much El Cartofilo Empedernido! A postcard from Spain, sent by postcrosser Arianne for Spain tag in postcrossing forum. 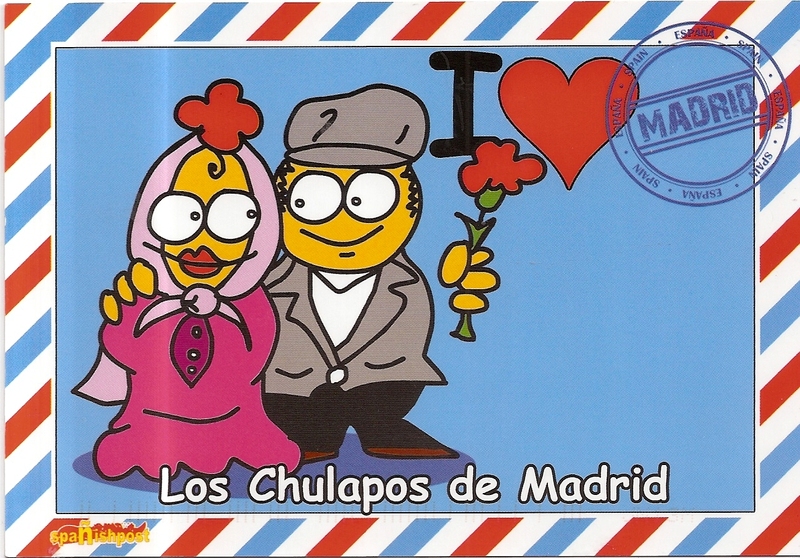 The postcard shows a drawing of “Los Chulapos” – a couple wearing traditional costume for festivals, especially La Feria de San Isidro. At the back, Arianne affixed one stamp. 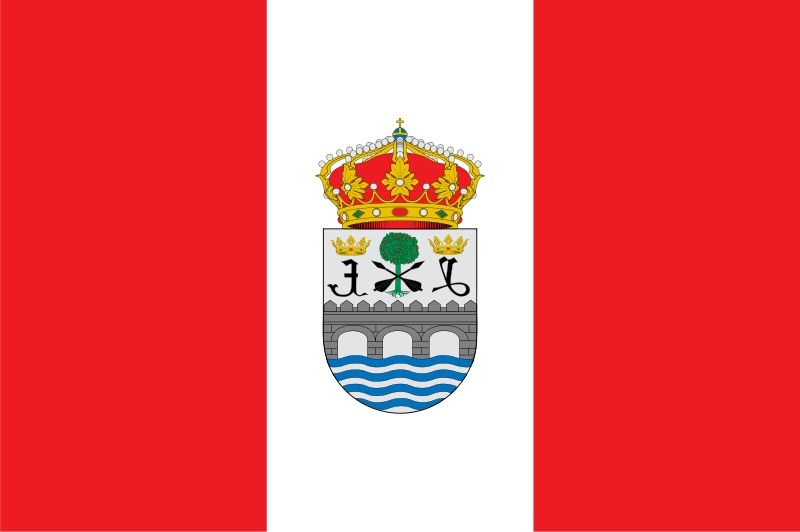 The posmark date is 7 June 2013 and the location is San Sebastian de Los Reyes. Thanks a lot Arianne! 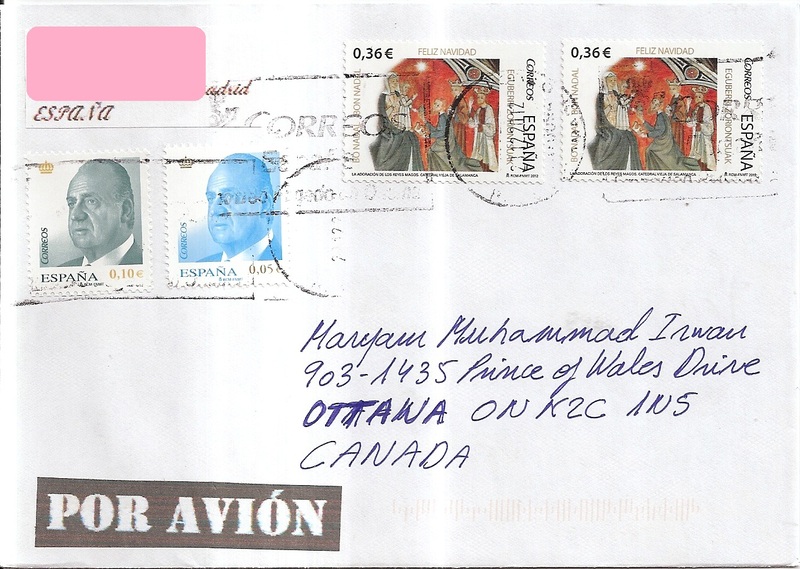 A surprise cover from Spain, sent by Dr. Radim J. Vasut of Czech Republic. On the cover, Radim affixed two definitive stamps and oen Europa 2013 themed stamp. 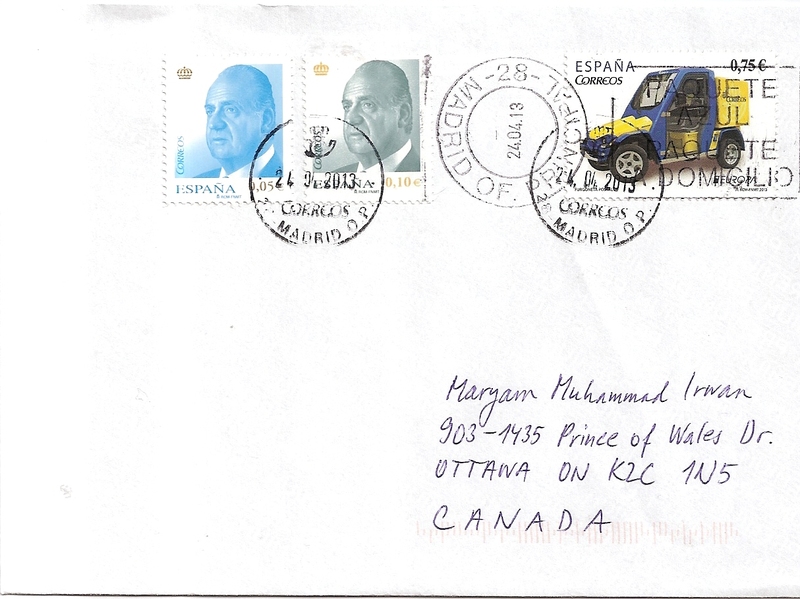 The postmark date is 24 April 2013 and the location is Madrid. 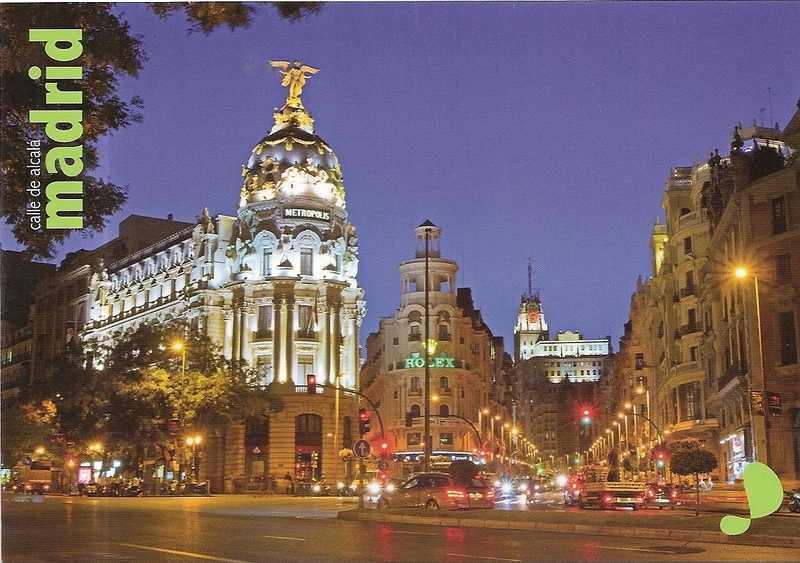 Inside is a postcard showing a street nightview in Madrid. Thank you very much Radim! 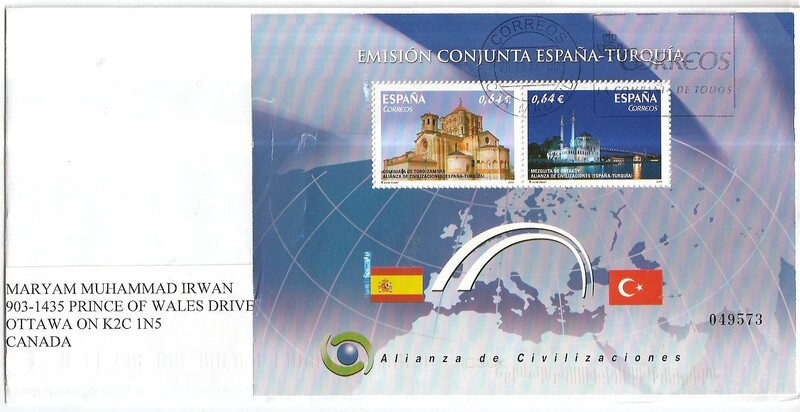 A cover from Spain, sent by Emilio Esteban of Getafe, Madrid. On the cover, Emilio affixed one stamp that features Church of the Saviour on Spilled Blood in St. Petersburg, Russia from the Russia-Spain joint issue on famous architecture. 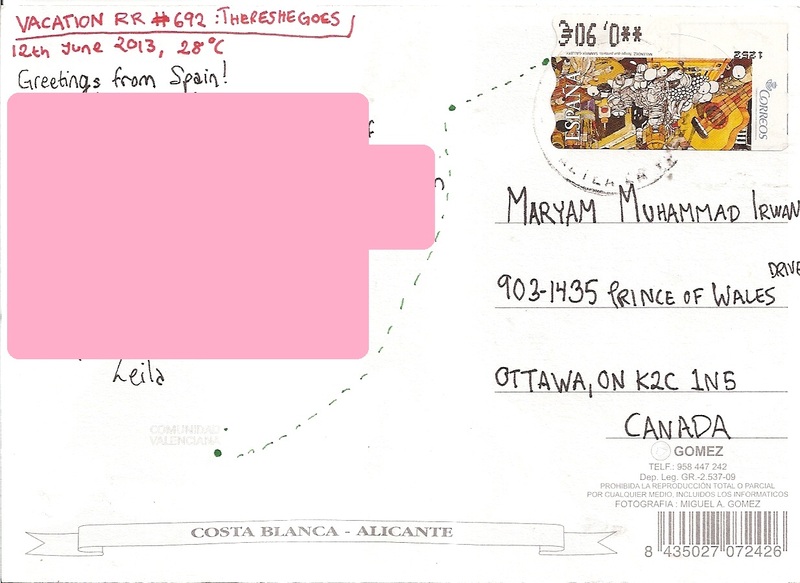 The postmark date is 17 December 2012 and the location is Madrid. Inside is a Christmas card from UNICEF. Thanks a lot Emilio! A cover with Christmas stamps from Spain, sent by postcrosser Cesar Perez for Nice Cover Circuit in postcrossing forum. 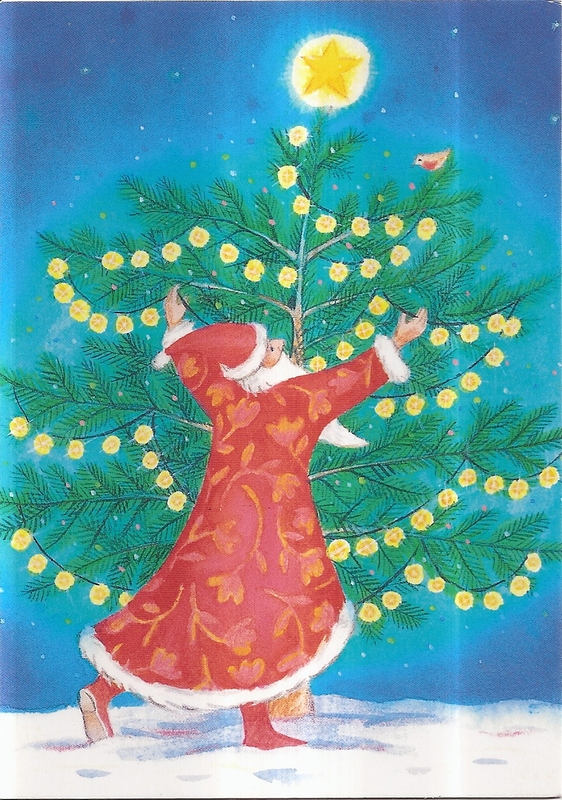 On the cover, Cesar affixed two definitive stamps and two Christmas stamps. 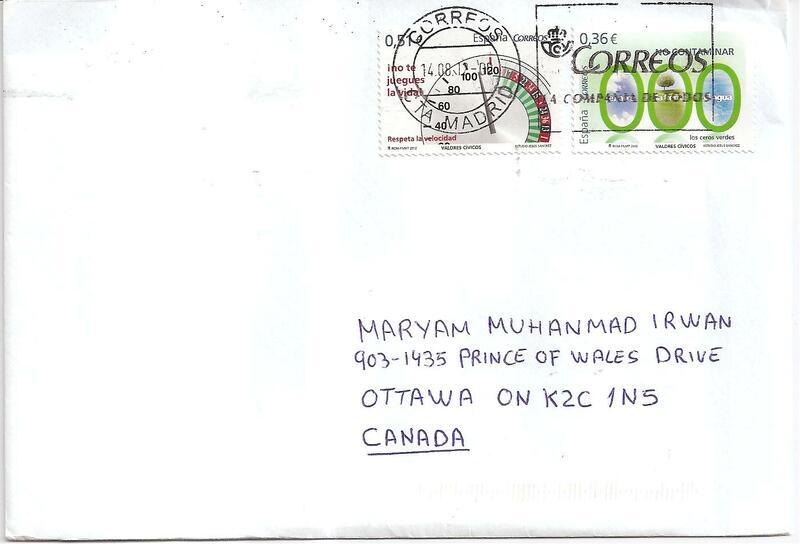 The day in the postmark date is not very clear to me, perhaps it’s 23 December 2012. Thanks a lot Cesar! A cover from Spain, sent by postcrosser Amelia M. for exchange organized by Nice Cover Circuit in postcrossing forum. On the cover, Amelia affixed one large souvenir sheet that contains two stamps. 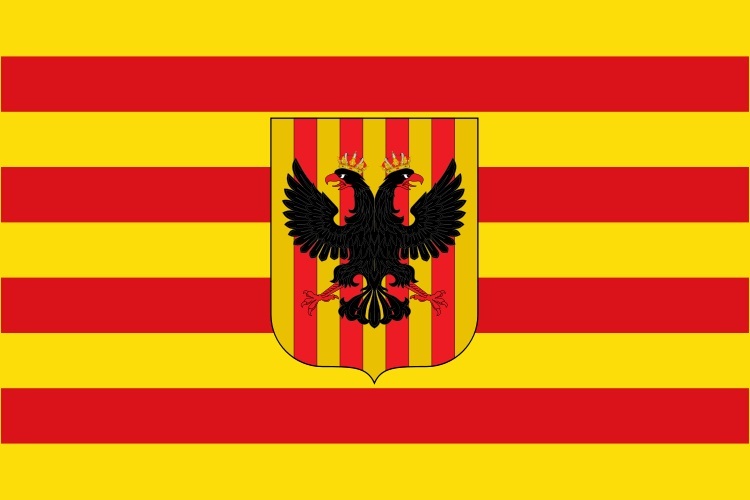 The souvenir sheet is a joint issue between Spain and Turkey. 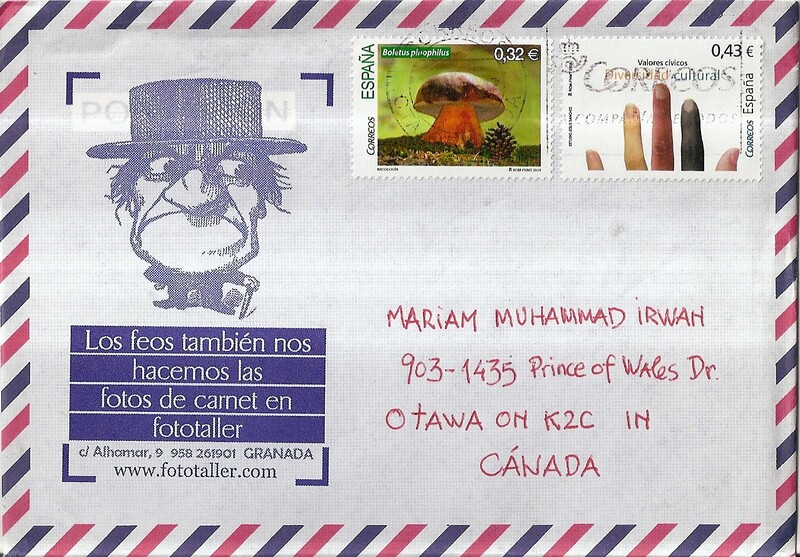 The first stamp features Church of Saint Mary the Great in Toro, Zamora, Spain; and the second stamp features Ortaköy Mosque in Istanbul, Turkey. 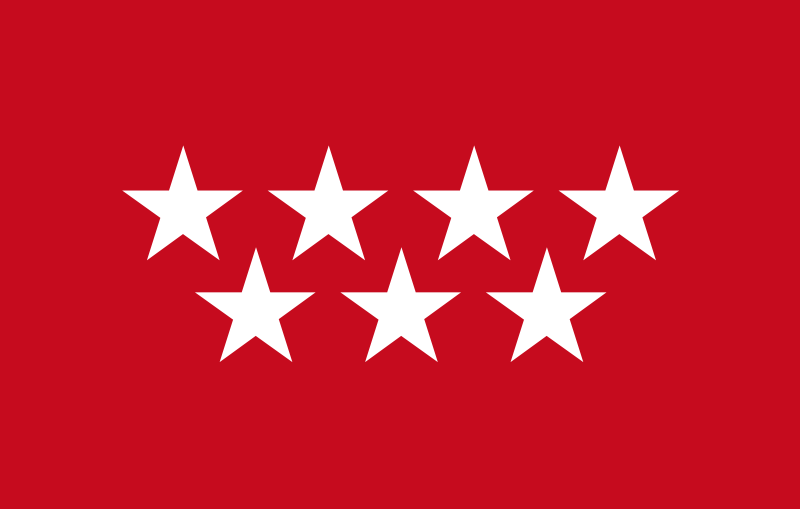 The postmark date is 26 November 2012 and the location is Madrid. Thanks a lot Amelia! A cover from Spain, sent by postcrosser Cesar Perez from Rivas-Vaciamadrid in Community of Madrid for cover exchange arranged by Nice Cover Circuit in postcrossing forum. 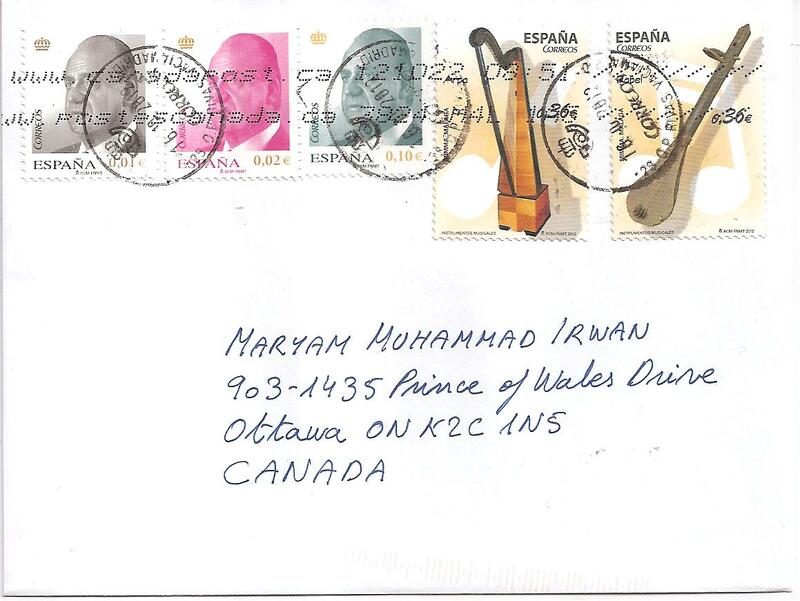 On the cover, Cesar affixed two commemorative stamps that feature musical instruments and three definitive stamps. The two musical instruments stamps show a harp and a violin (I think!). 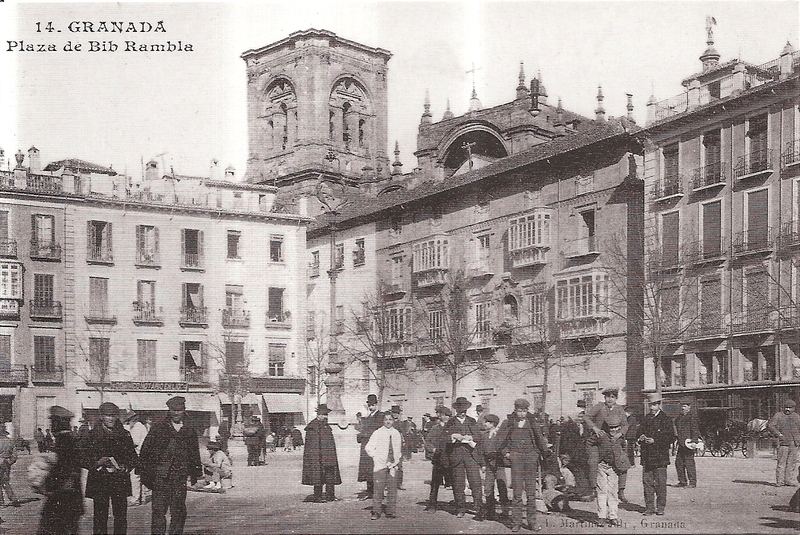 The postmark date is 16 October 2012 and the location is Rivas-Vaciamadrid. 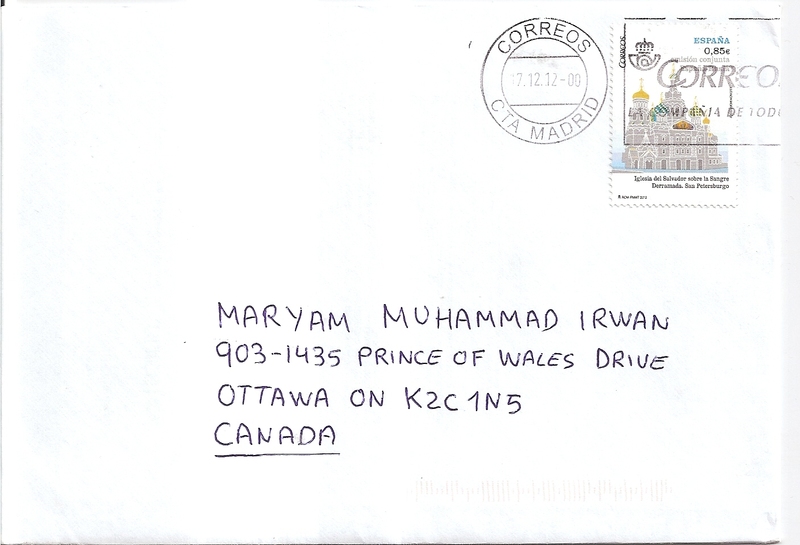 The cover was also cancelled again by Canada Post with date 22 October 2012. 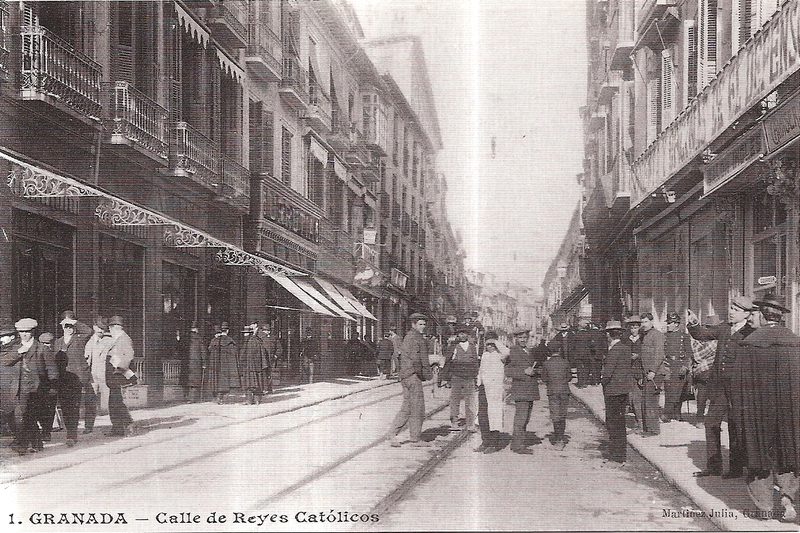 Inside is a postcard of Cortados del Piul in Rivas-Vaciamadrid. Thanks a lot Cesar! Yeay for the 400th item!! 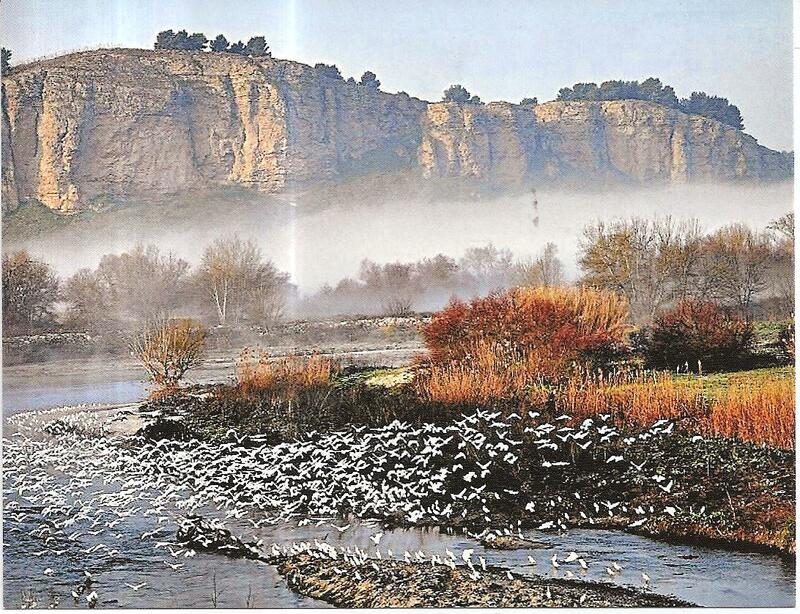 A cover from Spain, sent by my dear Spanish friend Emilio Fernandez Esteban. Emilio affixed two stamps on the cover. 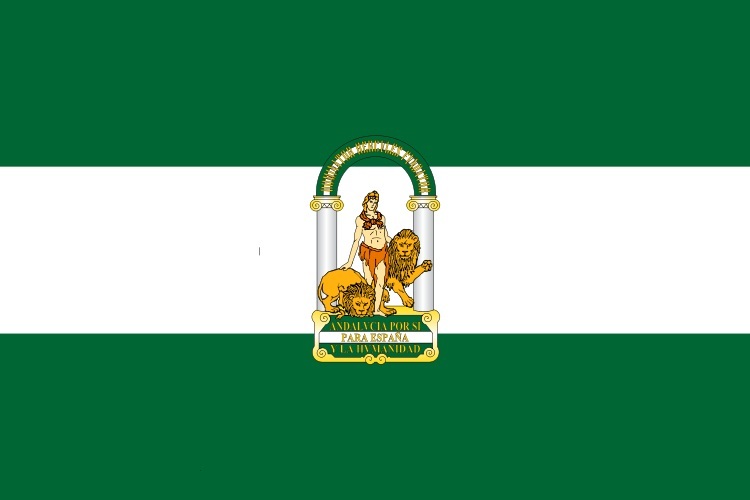 The postmark date is 14 August 2012, and the location is Madrid. Thank you Emilio! 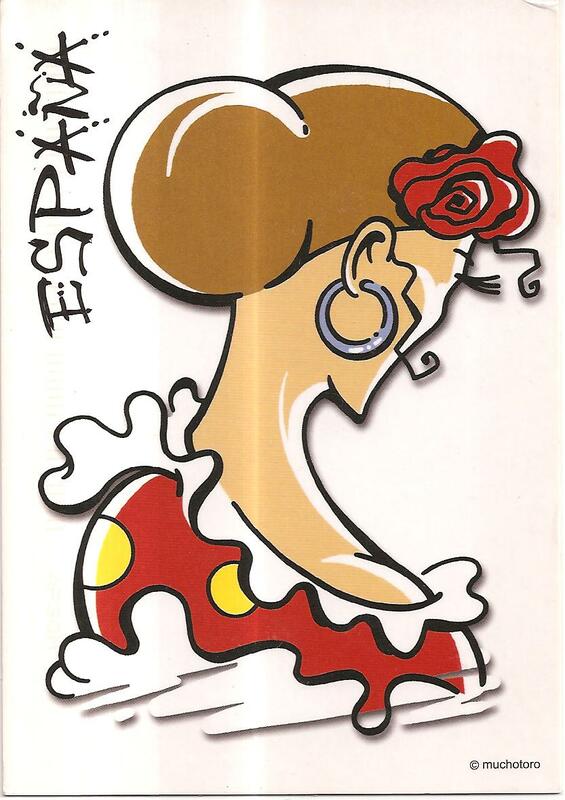 My last item of today is a postcard from Spain received through postcrossing, sent by Caroline. 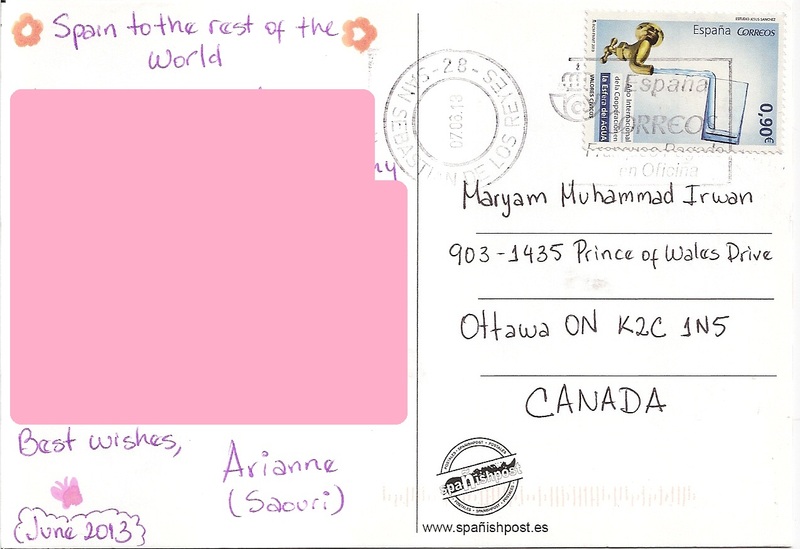 The postcard shows an image of flamenco dancer. 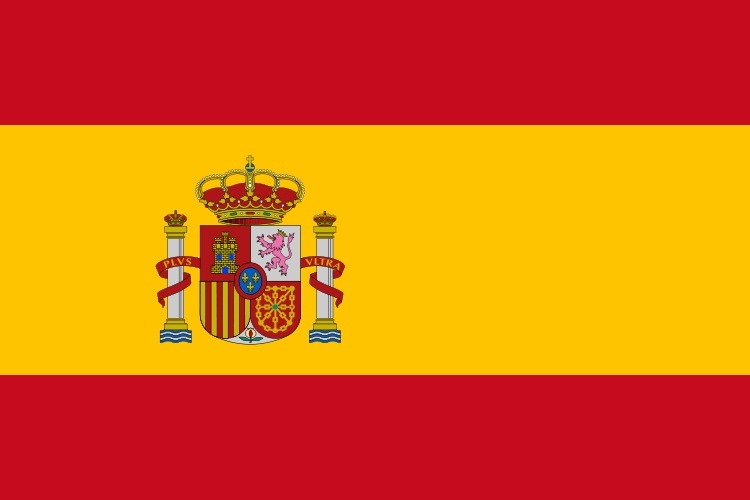 Flamenco dance originates from Andalusia, Spain. 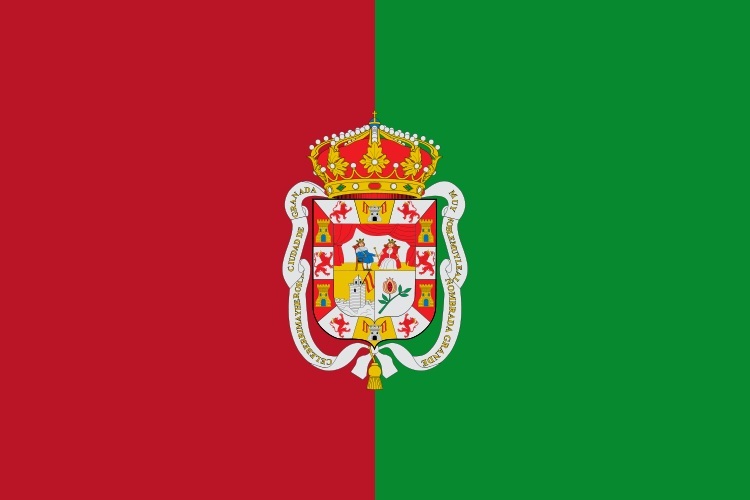 The postmark date is 23 April 2012, and the location is Seville, the provincial capital of Andalusia. Thank you Caroline!